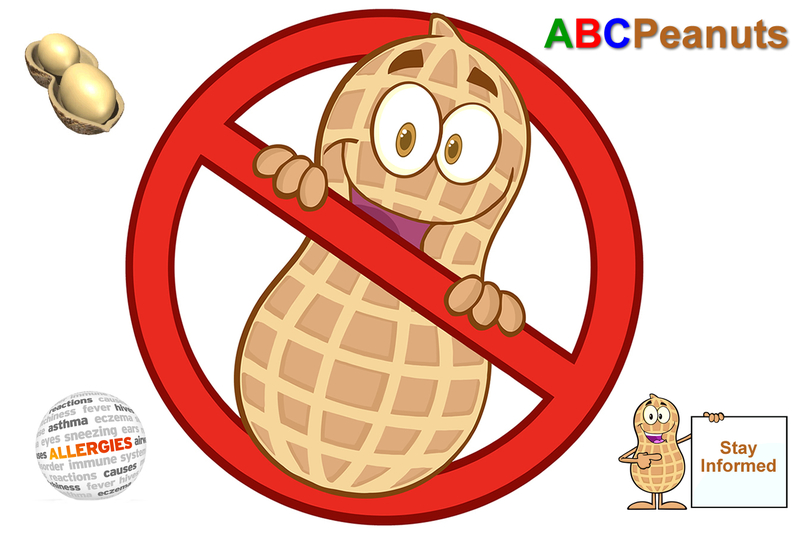 Understanding the ABC's of peanut and tree nut allergies may save someone's life. Please note, these food allergies are life-threatening. Everyone needs to understand there is no margin of error when it comes to peanut and tree nut allergies. The purpose of this website is to educate individuals to the dangers of this allergy, and what can be done to improve an allergic child's (or adult's) environment. So pass along this website to individuals who would like to learn more about this allergy. Whether you want to educate a school, friend, family member, teacher, coach, child, or neighbor, this site will explain some of the basic principles of the tree nut / peanut allergy. A = Anaphylaxis: According to FARE (Food Allergy Research and Education), anaphylaxis is a sudden, severe, potentially fatal, systemic allergic reaction that can involve various areas of the body (such as the skin, respiratory tract, gastrointestinal tract, and cardiovascular system). Symptoms occur within minutes to two hours after contact with the allergy-causing substance, but in rare instances may occur up to four hours later. Anaphylactic reactions can be mild to life-threatening. The annual incidence of anaphylactic reactions is about 30 per 100,000 persons, and individuals with asthma, eczema, or hay fever are at greater relative risk of experiencing anaphylaxis. A person having an anaphylactic reaction should not be moving around (if at all possible) because it can speed up the response. The blood circulation may increase causing the offending proteins to spread faster. The individual should lie on their back with their feet/legs elevated so more blood will remain close to the vital organs. B = Breathing: Most people know someone who is allergic to tree nuts or peanuts. One important concern is that peanut and tree nut allergies come in all shapes and sizes. Someone could be mildly allergic, while another individual can be severe. There is a big difference. The mild person may just get an itch or skin rash. The severe individual can just stop breathing and die. The lesson here.....not all peanut and tree nut allergic people will react the same when exposed to this food. Every incident should be taken seriously! It is also important to mention that people who have suffered previous mild reactions, can develop life-threatening reactions at any time. 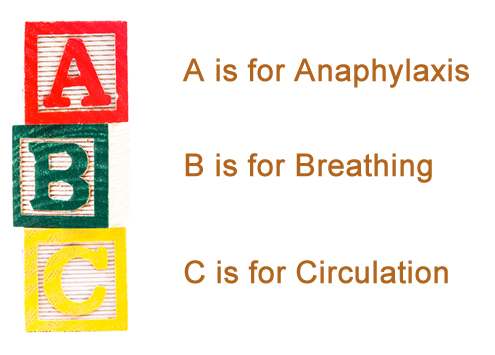 C = Circulation: Heart rate, circulation of blood, breathing are all affected during an anaphylactic reaction. Remember, anaphylactic shock is an allergic reaction that can be fatal within minutes, either through swelling that shuts off airways or through a dramatic drop in blood pressure. Each case should be taken seriously. The first defense against anaphylactic shock is the epipen. The epipen website states, "EpiPen 速 and EpiPen 速 Jr auto-injectors are the leading forms of self-injectable epinephrine. Administering EpiPen 速 at the first sign of a severe allergic reaction can provide a person with the time needed to get to an Emergency Room." It is vital that each allergic person carries 1 or 2 epipens with them at all times! What exactly is a peanut allergy? Peanut allergy occurs if a person develops allergic antibodies (IgE) specific to peanuts. If the person is then exposed to peanut, the peanut reacts with the person's own IgE antibodies to cause a reaction. 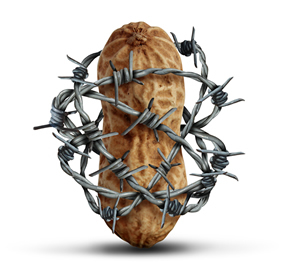 The best defense is not so much avoiding the food, but to EDUCATE everyone around the peanut allergic individual. 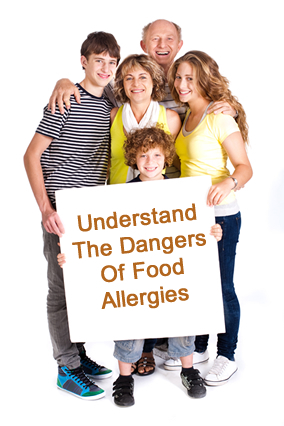 Individuals may be at risk for allergy based upon a family history of the allergy, asthma, eczema or hay fever. In allergy, when the immune system (the part of our body that is supposed to help us fight infections) defends itself against harmless proteins such as those in peanut, we may develop a peanut allergy or other food allergy. What exactly is a tree nut allergy? Tree nut allergies can also be a life-threatening food allergy. Tree nuts are not the same as peanuts and come from different food families such as walnut, almond, pecan, hazelnut, pistachio, cashew, and macadamia. It is important to check with your allergist to get an extensive list of nuts. Peanut allergic people can often eat tree nuts and tree nut allergic people can often ingest peanuts. However, some allergic individuals may be allergic to both peanut and tree nuts. It is important to note that if you are allergic to tree nuts, it does not mean you are allergic to all tree nuts. An allergist can do a test on your child to be more specific. Here is a more extensive list of tree nuts, but again, check with your allergist to be safe. Why are peanut and tree nut allergies lumped together? This is common. In some cases, children can be allergic to both. Both allergies can potentially be life threatening if ingested. Many parents just get nervous about products with poor labeling, or the issue of cross contamination in the plants that make foods with other nut products. For example, due to processing, some tree nuts could be processed with peanuts - making them unsafe even for those who just have a peanut allergy. What dangers exist from a peanut or tree nut allergy? Does a peanut or tree nut allergic individual need to ingest the food to cause a reaction? No! A reaction will occur when a product is ingested, but a reaction may also occur through just contact. Some peanut / tree nut allergic individuals can receive a rash just through contact. In fact, if residue from a peanut or tree nut product is left on a lunchroom table at a school, an allergic child may accidentally put their hands on any leftover residue. If that hand now touches the child's mouth, the possibility of an anaphylactic reaction could take place. There are many allergist that believe some type of reaction to peanut products could occur if it is airborne. They believe that there is such a thing as 'peanut dust.' For example, if a peanut shell is cracked, the dust from the shell can travel and penetrate a body through the nostril. Many doctors are uncertain about the smell of peanut butter. If someone is eating a peanut butter sandwich next to the allergic person, could that smell trigger a reaction? The verdict has not been clear yet, but it has not been ruled out! It is better to be safe than sorry. Hang signs around the room and on entrances that say "Peanut Free Classroom." Send notes home to all the families the first day of school explaining how no peanut products will be allowed in the room. Send home a suggestion list of 'safe' snacks for the children to bring in. Wipe down all tables after snacks in the room. Ask all the other children to always wash their hands before and after snack. Talk with school nurse about emergency procedures that may be necessary. Learn how to use the epipen. Arrange a meeting over the summer with the family of the peanut allergic child. 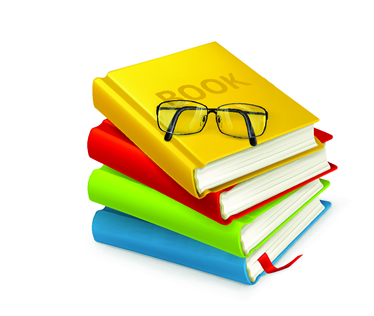 Read books to the class during the first week of school on peanut allergies (Most families with the allergy could probably supply you with the books). Show movies to the class early in the year about peanut allergies (Most families with the allergy could probably supply you with the videos). Try to go to workshops dealing with the allergy. Have an action plan in place with a substitute teacher in case you are absent. Make safe arrangements during class parties, birthdays, and class trips for the peanut allergic child. If the peanut allergic child rides a bus to and from school, consider having them sit towards the front of the bus. Always have the parents emergency phone numbers close by in a safe place. Keep an open line of communication with the parents. Call periodically to let them know what precautions are being made. 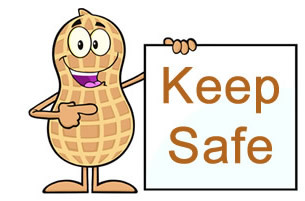 Talk to the school staff at a faculty meeting about the severity of the child's peanut allergy. Discuss with the principal and parents a safe lunchroom policy for the child. 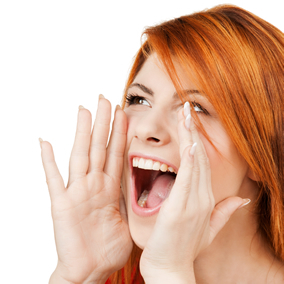 "When in Doubt, Give a Shout!" If a peanut allergic child diagnosed with anaphylaxis, prescribed epinephrine, and/or with a history of anaphylaxis complains of, or is observed with ANY allergic symptoms such as itchy mouth, lump in throat, difficulty swallowing, hives, redness in the face, nose suddenly running clear "instant cold" with or without sneezing, breathing distress, vomiting, falling to the floor from blood pressure drop, lethargic, swelling.....call for help from the classroom rather than sending the anaphylactic child away from the classroom to find a nurse. The reacting anaphylactic child may look fairly normal at first, but this child needs nothing short of constant adult supervision and prompt medical attention to those first symptoms. Anaphylaxis can present without breathing distress, but untreated anaphylaxis will lead to shock and death. There is also a given point of no return with the condition when nothing can save the child. Moreover, initial symptoms can be different from the child's previous reactions, or vague, or mistaken for a treatable asthma attack before overtaking the child leading to shock and death. Some children have no memory of the first anaphylactic attack, and they may not understand what is happening when their second reaction occurs in grade school or even as late as high school. It is important, therefore, to have a prepared and practiced response that fits this life-threatening condition for any child diagnosed as anaphylactic. Ideally, given the deadly nature of anaphylaxis and the fact a reacting child should be kept still and calm with no delay in treatment, the school's response should incorporate giving treatment in place rather than sending the child away to seek a nurse. Arrange a meeting with your school principal, nurse, classroom teacher, and specialist teachers over the summer to educate them on the severity of your child's nut allergy. Find out the school districts policy on peanut allergies. Find out if the lunchroom policy creates a safe environment for your child. Supply the teacher with a list of 'safe' snacks to bring into the room. Supply the teacher with extra 'safe' snacks for children who mistakenly bring in dangerous food. Supply the teacher with disinfectant wipes to clean the tables daily in the classroom after snack. Supply the teacher with hand soap for the children to wash their hands before / after snack and lunch. Supply the school with signs that say "Peanut Free Classroom." Prepare a speech to discuss the allergy at back to school night during the first month of school. Offer to pay for your child's teacher to get CPR and Epipen trained over the summer in case the school district will not pay for it. Many places will do it free for the teacher if they know the reason why they are attending a CPR class. Create an action plan with the school's principal for emergencies that may arise. 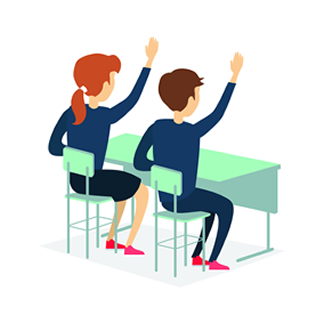 Volunteer to attend the first faculty meeting with the staff to discuss the needs of your child. Supply the school with movies and books pertaining to nut allergies. Supply the teacher with workshop material in the area pertaining to the allergy. 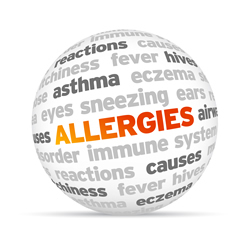 Ask your child's allergist to talk for a few minutes with your child's teacher to explain the severity of the allergy. Volunteer to go on school trips or organize class parties to ensure a safe environment. Provide the school with your emergency phone numbers. Talk with your bus driver about an action plan pertaining to the allergy. Keep an open line of communication with your child's teacher. Educate your child on what your goals are at the school. 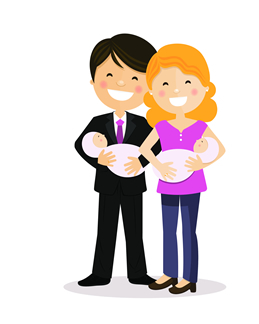 Have a direct line of communication with the families of children with the peanut allergies. Listen to all suggestions from the peanut allergic families. Have an emergency action plan in place in case a child goes into anaphylactic shock. Educate all the people in your school community about the horrors of this health risk. Never be afraid to let the staff know this is a fatal food allergy. Consider what type of lunchroom procedure you would like to follow. Talk about the dangers of this allergy at PTA meetings, back to school nights, newsletters, board meetings, or staff meetings to ensure everyone understands the seriousness of this allergy. The material on this web site are for educational purposes. Information about peanut / tree nut allergies can change on any given day. Always consult with your family doctor / allergist regarding information on this web page. Always remember to read the food labels ingredients on food products each time you purchase them. The designers of this web site assume no responsibilities for any problems you may incur with regards to the peanut / tree nut allergy. The information contained herein is not intended or implied to be a substitute for professional medical advice. Please seek the advice of your physician regarding any treatment for allergies.